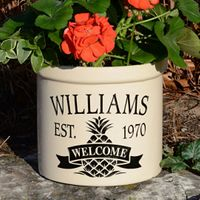 Peronalized Wedding gift, mums on the front stoop, beer on the back deck or utensil holder for your favorite checf the Personalized 2 Gallon Crocks from Whitehall Products makes a perfect personalized wedding gift, new house gift or piece for your own house. Please note the American Heritage style only includes one line of text-fourteen 1" letters/spaces. The Pineapple Welcome is formatted as shown. 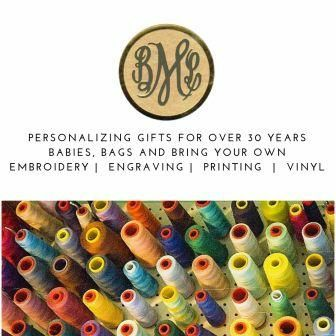 Each 2 gallon crock measures 9.75" in diameter and 9" in height. Each crocks weighs approx 12lbs (approx 15lbs for shipping). If ordering more than one crock additional shipping charges will have to be added due to weight of product.